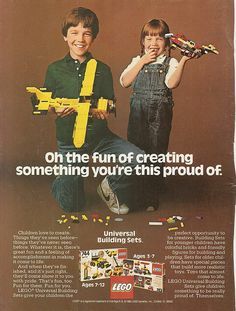 In the 1975 Sears catalog, for instance, Sweet found less than 2% of toys were explicitly marketed to boys or girls. Now, the Disney Store’s website only has “for boys” and “for girls” categories, with no option to search for toys for either gender. Growing up with an older brother, we shared nearly all our toys, and I don’t remember ever once thinking a toy he played with wasn’t equally appropriate for me. I played with my share of Barbies, but I also built Lego contraptions, too. Now, whenever I find myself in pink and blue color-coded toy aisles, I wish today’s kids had the same options I did. These dolls by Hasbro from the ’80s were heavily marketed to little boys. The ads had the message that it was okay for boys to have a doll, or a “buddy.” Of course, girls were welcome to play with these all-inclusive dolls as well. Everyone loved Beanie Babies! My brother and I had more than we could count. They still show up in corners of my parents’ house even years later; but now, stuffed animals are usually considered too “girly” for boys to play with. It’s not news that the video game industry has a bit of a gender problem. But the first Game Boy was remarkably gender-free (even though it had “Boy” in the name). While later versions of the console came in pink and blue, the original was in plain white, and marketed to boys and girls alike. My brother and I drove my parents crazy with our Bop-It. Kids of both genders could “bop” it, twist it, or pull it to their heart’s content. Before action figures were exclusively marketed to boys, the She-Ra Action Figures were a huge hit with both genders. Nowadays? Female action figures are so rare that Guardians of the Galaxy even omitted their one female hero from most of their merchandising in an effort to appeal to exclusively boys. 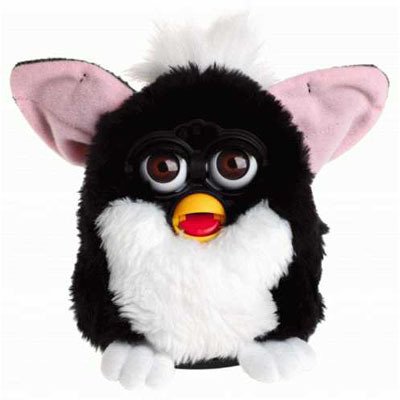 Furby drove both girls and boys crazy (and, let’s be honest, the new ones just aren’t the same).